Part of NBJP's mission is to showcase the next generation of jazz musicians ... the future "greats!" This is a chance to see them NOW! 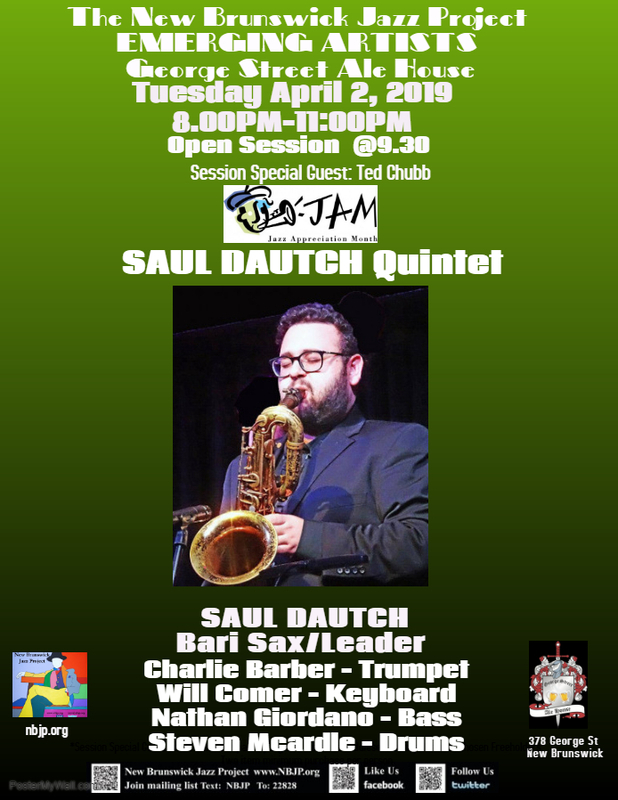 Baritone Saxophonist Saul Dautch leads the band. The Open Session Special Guest will be trumpeter, Ted Chubb. Massimo Farao studied with Flavio Crivelli and worked with local Formations; In 1983, he first visited the United States where he worked with Red Holloway and Albert 'Tootie' Heath. 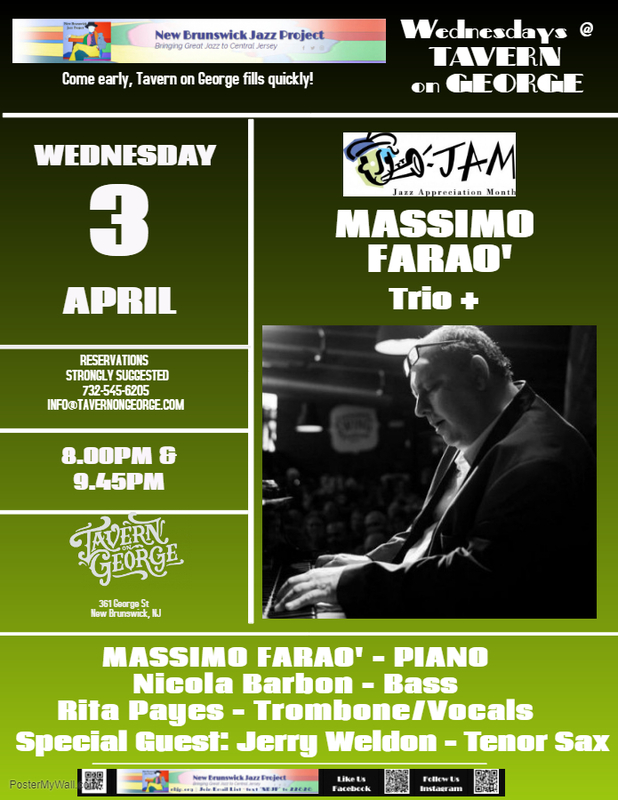 Farao has performed or recorded with the likes of Jesse Davis, Nat Adderley, Jack DeJohnette, Chris Potter, Bobby Durham, Archie Shepp, Jerry Weldon, and Joey DeFrancesco. Evan Sherman began playing the drums at 5 years-old. 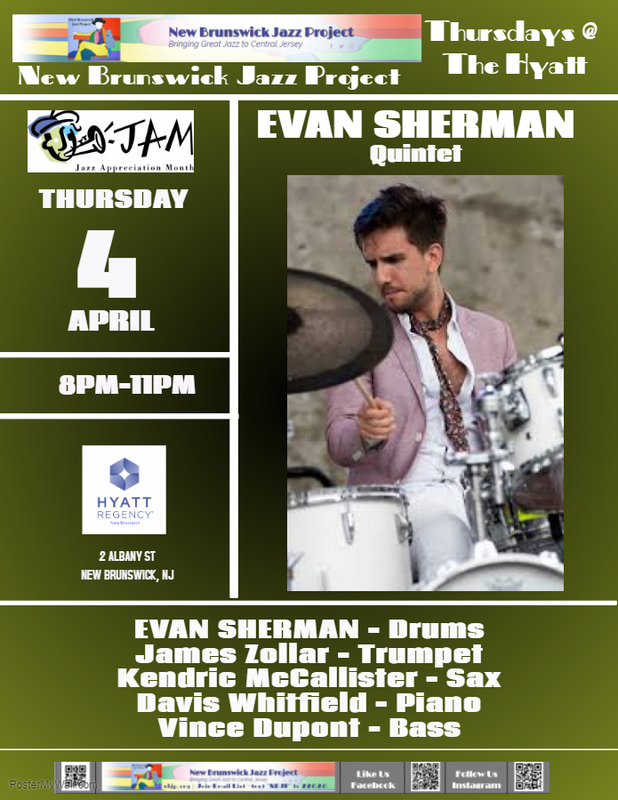 Born into a musical family in New Jersey, Evan played his first professional gigs at 13-years old. Since then, Sherman has been spreading musical enthusiasm all over world touring with the likes of Wynton Marsalis & the Jazz at Lincoln Center Orchestra, Roy Hargrove, Ron Carter, Jimmy Heath, the Dizzy Gillespie All-Stars, Cyrus Chestnut, Branford Marsalis, and more. In addition to performing, Evan loves to present clinics/workshops, educating people worldwide about jazz. 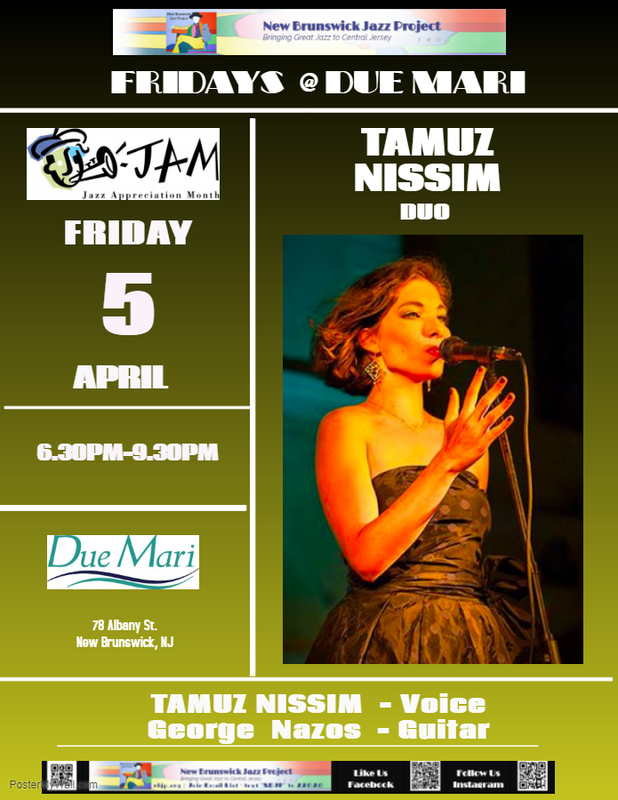 Tamuz is a NYC based- Israeli Jazz singer, composer and pianist. Her latest album "Echo of a Heartbeat" received great reviews. In the Netherlands she met musicians from around the world and started collaborating with the guitarist Giorgos Nazos, the bassist Vassilis Stefanopoulos and the pianist Francesca Tandoi, with whom she later recorded her debut.